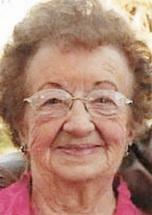 DUNKERTON - Norma J. Bartholomew, 93, of Dunkerton, formerly of Fairbank, died Tuesday, Aug. 5, 2014, at NorthCrest Specialty Care Center, Waterloo, after a brief illness. She was born Nov. 7, 1920, in Oelwein, daughter of Albert H. and Margaret Rogers Heidt. She married Wendell J. Goeller on March 14, 1943; he died in 1981. On June 6, 1987, she married Earl Bartholomew. Norma graduated from Oelwein High School, Oelwein, in 1938. She was a homemaker and also worked at City Laundry in Oelwein. She was a member of Fairbank United Methodist Church. Survived by her husband; two daughters, Judy (Mel) Neil of Fairbank and Cindy (Tom) Hagenow of Readlyn; a son, Jerry (Dawn Johnson) of Fairbank; four stepdaughters, Marcia (Rich) Young of Dubuque, Elaine Clark and Jeanette (Jim) Grady, both of Waterloo, and Lois Bartholomew of Burlington, Wis.; two stepsons-in-law, Roger Lenz of Webster City and John Riordan of Westgate; and eight grandchildren, 16 great-grandchildren, 26 stepgrandchildren and 41 stepgreat-grandchildren. Preceded in death by her parents; a brother, Dalys J. "Hap" (Phyllis) Heidt; a half sister, Anna (Bert) Miller; two stepdaughters, Dee Lenz and Leta Riordan; and a great-grandson. Services: 10:30 a.m. Friday at United Methodist Church, Fairbank, with burial in Fairbank Cemetery. Visitation from 4 to 7 p.m. Thursday at Woods Funeral Home, Fairbank, and for an hour before services Friday at the church. Memorials may be directed to Care Initiatives Hospice, the church or memorial of donor's choice. Norma enjoyed spending time with her family, grandchildren as well as great-grandchildren. She loved to play cards, crocheting, counted cross stitching, bowling,watching game shows and visiting the casinos.